Surrounded by a half dozen enemy fighters, my shields down, and missiles incoming. In any normal ship I would have been done for, but this was the Strike Suit. I transformed my ship, danced away from the enemy missiles, and destroyed the circling ships in seconds, ending my comeback with my own barrage of missiles shredding the enemy corvette leading their forces. 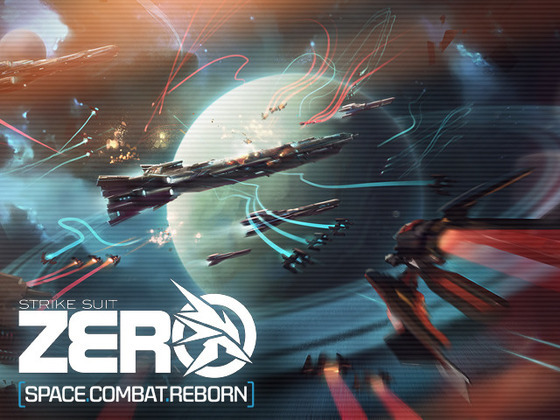 This battle was one of dozens that highlight Strike Suit Zero as a new entry in the now all but extinct space sim genre. 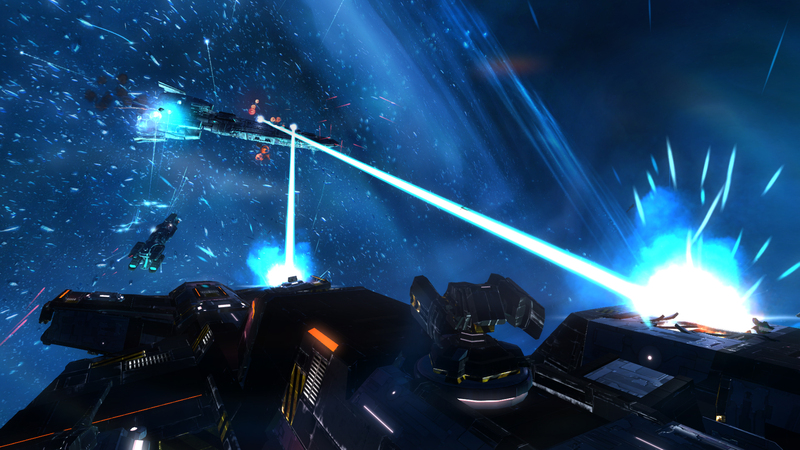 Taking inspiration from classics including Wing Commander, Starlancer, X-Wing, and Descent: Freespace, indie studio Born Ready Games successfully makes its own mark. Visually, Strike Suit Zero is beautiful. Ships are a marriage of eastern and western design, and the influence of Junji Okubo (Infinite Space, Appleseed: Ex Machina) is obvious. Capitol ships look cold and hostile, bristling with weaponry, while fighters and bombers are sleek and graceful. Beam cannons and swarm missiles seem inspired by Macross, and the Strike Suit’s deceptively nimble humanoid form makes you feel like you are piloting one of that series’ Veritech Fighters. Nebulas, stars, and planets you fight around add a beautiful backdrop, and the minimalist interface gives just the information you need without getting in the way of the scenery. The audio design is excellent, as well. Nearby beam cannon fire is every bit as terrifying as it should be, and each missile and gun have unique sounds that hint at exactly what you have incoming. The musical score is engaging, with changes in tone helping to increase tension or confidence when appropriate, though the main theme is possibly a bit overused throughout the game. And the voice acting is serviceable, perhaps even good, but unfortunately paired with writing that is perhaps not terrific. Cliched lines abound, and while the story does a serviceable job of moving the game along, it is definitely Strike Suit Zero’s weakest part. But that is made up for in spades by the fluid, responsive, and just fun gameplay. Ships behave as they do in space sims of yore – the fighter and interceptor are fast and nimble, while the bomber is a bit more slow and lumbering. The Strike Suit’s fighter form handles as you would expect, but transform into its mecha mode and your movement also shifts to a high speed strafing, dashing, and dodging ballet, all while locking missiles onto multiple targets and mowing down enemy fighters daring to get close. There is a definite power trip the first time you go from hilariously outmatched to surrounded by enemy wreckage in seconds. Everything controls well with a mouse and keyboard, but I highly recommend a gamepad (XBox 360 controller support is baked in) or flightstick if you have one available. And the controls need to be responsive because Strike Suit Zero is hard as nails. Seeking out torpedoes that are en route to a cruiser you are protecting seems easy enough until you are being harassed by half a dozen enemy interceptors, and this is one of many situations that happen frequently enough that you are constantly challenged to stay on top of your game. Part of me would have almost preferred selectable difficulties, but I really liked the sense of accomplishment that came with finally pulling through a difficult mission segment. 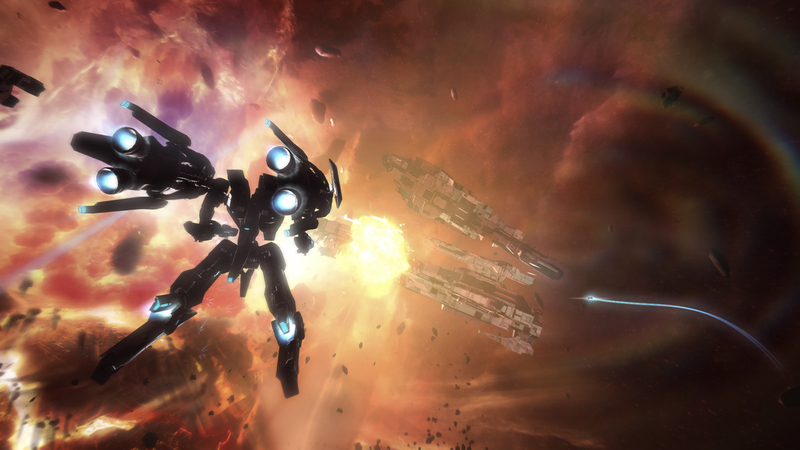 I highly recommend Strike Suit Zero to anyone who is a fan of action games, eastern style mecha, and especially those who miss the glory days of space sims. This is a love letter to fans of the genre – prepare for a significant challenge and strap in for a glorious dogfight.